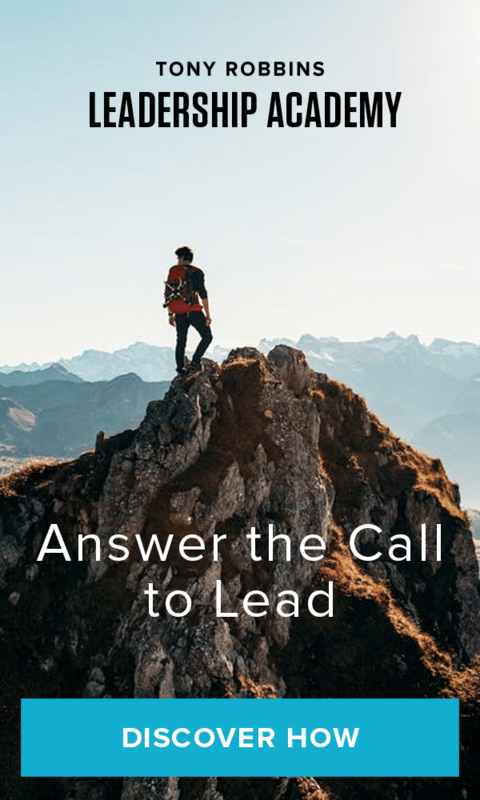 Have you found yourself trying to lead others at work or trying to connect with someone who thinks differently than you – but you didn’t feel like you were succeeding? If you’re like most of us, the answer is yes. But don’t worry – you’re not alone. Brian Mylett struggled with this very issue. Knowing the importance of influence for his business and personal life, Brian chose to attend Tony Robbins Leadership Academy. Among many other tools, Brian discovered the first step to becoming an effective leader is to be able to lead yourself. No matter what your stress levels, circumstances or frustrations may be – you must master influence on your own emotions first. Leadership isn’t a position that some achieve while others don’t, it is a skill that can be mastered. Through leadership training, you too can have the tools to create lasting change and influence others. This is the core lesson behind Tony Robbins’ event, Leadership Academy. Over four days, attendees receive leadership training to learn the exact system that Tony Robbins uses to lead others to extraordinary lives. For entrepreneur, Brian Mylett, Leadership Academy didn’t just improve Brian’s business and skills of influence, it transformed his relationships and inspired his family as well. Leadership is about creating and compelling positive, lasting change for yourself and others. As Tony Robbins says, “Leadership is the single most important skill you can master.” Leadership skills training can have a positive impact on all areas of your life – no matter what your age, gender, role or ambitions. Can you influence yourself? Can you influence others? How about a group of human beings? That’s what leadership is. An idea is only an idea, one that will ultimately die, unless you become a person of influence — a person who can influence and lead your peers toward that idea’s fruition. Unlike other leadership training programs, Tony Robbins Leadership Academy goes beyond simply strategy and technique. This program begins with the fundamentals like building rapport, changing perspective, understanding non-verbal communication, and mastering influence, then anchors these skills into your body through four days of 1:1 practice. Plus, real-time feedback from Tony’s lead trainers and hand-selected experts in the fields. The ability for you to become a great leader is well within your reach. It’s simply a matter of taking the first step. Go ahead – listen to that small voice inside encouraging you to dream a little bigger and do a little more – start your path to great leadership today!